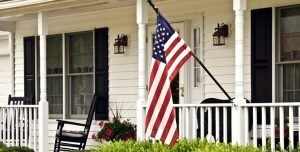 Texas Veterans have great home mortgage choices available today. VA Jumbo loans are great for those financing more than the standard Fannie Mae, Freddie Mac or VA loan limit, which is currently $484,350 in Texas. Eligible Veterans today can actually borrow up to $1,500,000 with a small down payment. Many are not aware that VA permits this and requires just 25% down payment on just the loan amount above the standard VA cap ($484,350) Let’s detail a few VA purchase scenarios below and how much down payment is needed. Approved properties include regular single family homes, townhomes and VA approved condos. Lot loans, vacant acreage, mobile and manufactured homes not approved. Any loan amount that exceeds the normal VA loan limits – $484,350 – will require a down payment. Loan at or below the basic loan limit can finance 100%. The mortgage company will need to also review the Vets entitlement. Remaining VA entitlement is one of the most important factors in determining eligibility. Remember, vets are permitted to use their VA home benefits more than once. However, they should currently not have an active VA mortgage. Important info regarding credit – Unlike the standard VA purchase loans, the VA Jumbo high balance program will require better credit scores in order to be eligible. Most mortgage companies will require a minimum 640 credit score to be approved. Like any loan, there will also be added restrictions for any Veteran that has experienced a past financial hardship in the previous 7 years. VA Jumbo loans apply strictly to owner occupied properties. No second home or investor transactions allowed. Like all VA loans, NO monthly mortgage insurance. Government backed 30-year fix, 15-year fix or ARM terms. More flexible credit and underwriting restrictions when compared to regular (non VA) jumbo loans. Borrowers that have credit below 680 often have a difficult time being approved for regular jumbo loans above 90% loan to value. Low down payments. In most cases, vets can put down less when compared to other options. Don’t forget read up on the regular Jumbo mortgage options available up 95% financing nationwide. All the requirements can be found on the Jumbo Purchase Page. Need assistance? Please contact us today to learn more. Just call the number above, or submit the Quick Call Form. Is this VA jumbo program also available to Veterans in other states? I was looking to inquire about purchasing a home in Scottsdale, AZ. Could I get approved? Yes, the VA Jumbo is available to approved Vet’s across the U.S. Contact today to discuss your eligibility and to see if the program is right for you.